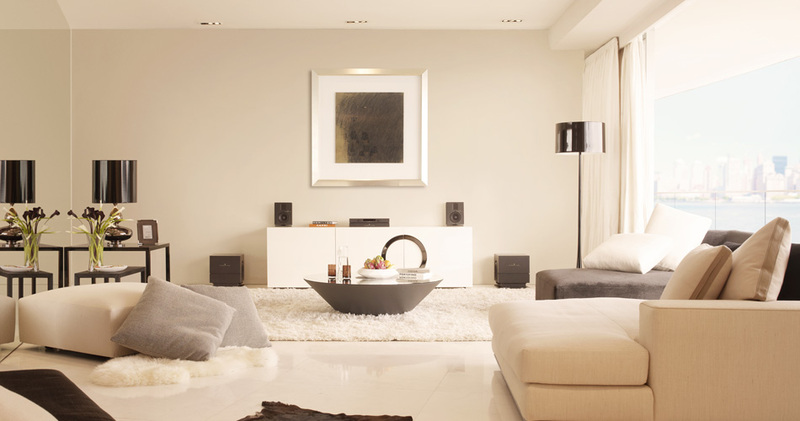 Modern homes and modern house home cinema’s are the most challenging spaces to recreate great sound in. As curtains and carpets are removed leaving large expanses of glass and bare plaster, it becomes impossible to create good sound in many spaces. In many instances the issue goes way beyond good music quality; these spaces become tiring to even hold conversations in. The earlier we are included in the design of a project the simpler and more discrete the solution will be. The acoustics of a space can often be transformed with a change to the type of wall, floor or ceiling surface which can be easily included in the initial design of the space. Once acceptable acoustics are achieved, the highest quality and most consistent sound quality will be achieved with Steinway Lyngdorf all digital sound systems. Developed and perfected in Denmark the home of contemporary design, the unique way they interact with the listening room make them the only audio systems capable of delivering the highest fidelity sound in the “live” spaces. These unique audio systems also deliver the best possible timing and frequency response in any space using incredibly compact speakers.